Celery is one of those really-good-for-you vegetables that largely gets relegated to the role of peanut butter vehicle. And while there's no knocking that snack (which I enjoy with some regularity! ), today's Eat Seasonal feature hopefully will change your perspective on what you can do with these fine stalks. Celery is in season from August to October in Massachusetts; here are 8 ways to enjoy the vegetable across the mealtime spectrum. 1. Celery is a major player in this green juice recipe. 2. 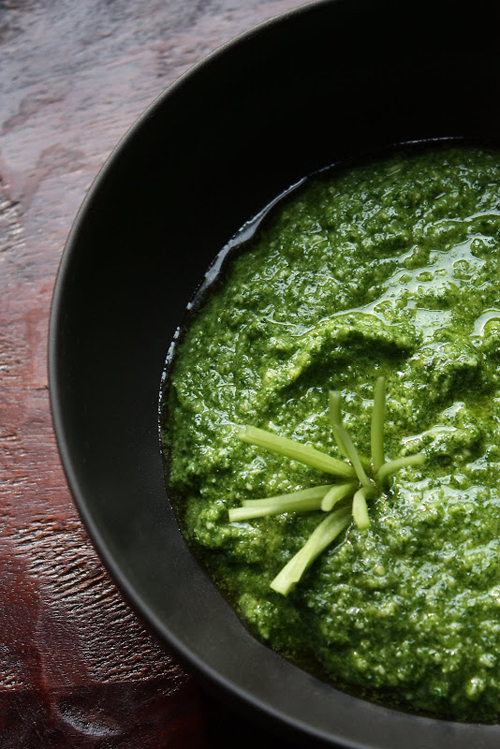 Put those celery leaves to good use with this celery almond pesto. 3. A simple and tasty green apple and celery salad. 4. This salad earns points in my book for being called Tiger Salad. ROWR. 5. Yum. 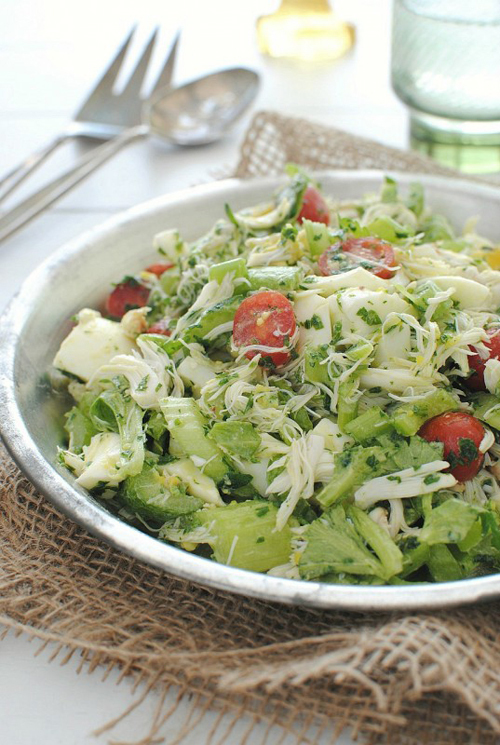 Crab salad with celery. 6. This spicy sauteed celery makes for a quick and easy side dish. 7. This creamy celery soup is perfect for chillier temperatures. 8. Braised celery with onion, pancetta and tomatoes. Smart!